The objectives of this study were to characterise strains from seven non-Saccharomyces species, investigate their use in wine production, and evaluate their compatibility with lactic acid bacteria (LAB). 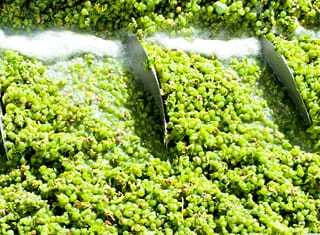 Yeasts play a key role in wine production. They are present on the grapes, winery equipment or are added as starter cultures. 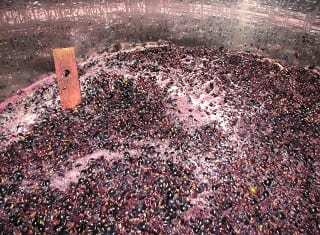 They are responsible for alcoholic fermentation, whereby the grape must is transformed into wine. These yeasts can be divided into two groups, namely Saccharomyces and non-Saccharomyces (wild yeasts). Saccharomyces cerevisiae may be present at very low numbers on the grape skins, but are normally found in greater numbers on the winery equipment (Fleet et al., 2002). Non-Saccharomyces yeast genera are frequently found in high numbers on grapes and in must. During the initial phase of spontaneous fermentations, the non-Saccharomyces yeasts dominate, but as the ethanol levels increase, the more ethanol tolerant Saccharomyces yeast strains dominate. Usually, only commercial Saccharomyces yeasts are used during wine production, but the use of controlled mixed cultures of non-Saccharomyces and Saccharomyces yeasts can often lead to the production of wines with more desirable characteristics. Currently, starter cultures containing non-Saccharomyces yeasts, namely Torulaspora delbrueckii, Lachancea thermotolerans, Pichia kluyveri and Metschnikowia pulcherrima are commercially available (Jolly et al., 2014). Malolactic fermentation (MLF) is a secondary, but important fermentation process, whereby malic acid is converted to lactic acid and CO2. Malolactic fermentation is not a true “fermentation”, but rather an enzymatic reaction conducted by LAB (Lerm et al., 2010). This process is often desired in the production of red wines, certain white and sparkling wine styles, as it increases wine microbiological stability, while enhancing aroma and flavour. With the increasing usage of non-Saccharomyces yeasts, there is a need for a better understanding of the interactions that occur between the wine yeast, S. cerevisiae, the non-Saccharomyces yeasts and LAB. Commercial L. thermotolerans and T. delbrueckii strains were isolated from active dried yeast blends and included as references. Strain diversity was investigated by contour-clamped homogeneous electric field gel electrophoresis (CHEF) and generation of yeast protein spectra, using matrix-assisted laser desorption ionisation in combination with time-of-flight mass spectrometry (MALDI-TOF MS) (Du Plessis et al., 2017). 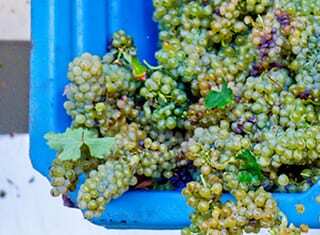 The yeasts were tested for the ability to produce enzymes that could assist with wine clarification, flavour modification and malic acid degradation. In addition, laboratory-scale alcoholic fermentation trials were conducted in a chemically defined synthetic grape juice (Costello et al., 2003) to investigate yeast fermentation kinetics and their compatibility with a commercial LAB strain. Each yeast strain was evaluated as a pure culture and in triplicate. Alcoholic and malolactic fermentations were conducted at ±22°C. This study investigated 37 non-Saccharomyces strains and results showed that CHEF karyotyping and MALDI-TOF MS were effective techniques for identifying these non-Saccharomyces yeasts, and could also be used to differentiate among strains of H. uvarum, L. thermotolerans and T. delbrueckii. Both techniques were unable to differentiate among M. pulcherrima strains, but this could be overcome by further optimisation. Only H. uvarum and M. pulcherrima strains produced enzymes that could convert non-volatile aroma compounds to volatile aroma compounds and improve wine flavour. In addition, M. pulcherrima strains also produced enzymes that could assist with wine clarification. Results indicated that the plate assay for malic acid utilisation, by the different yeasts, is not very reliable and gave too many negative results, as well as false positives. The assay using a liquid medium was more reliable and the ability to degrade malic acid varied among the different species and strains. The concentration of malic acid degraded by the different species varied between 7 and 78% (Table 1), and as expected the Sc. pombe strain utilised most of the malic acid (about 78%). Aforementioned results are in agreement with other published data. Candida stellata, C. zemplinina, H. uvarum, M. pulcherrima and Sc. pombe strains were shown to be slow to medium fermenters, while the L. thermotolerans and T. delbrueckii strains were found to be medium to strong fermenters and comparable to S. cerevisiae. These results indicate that in most cases the non-Saccharomyces yeasts should be used with a strong fermenting yeast, such as S. cerevisiae, to ensure that the wines ferment to dryness. A great degree of variation was observed among the ethanol, malic acid and volatile acidity (VA) levels of the wines produced with the different non-Saccharomyces yeast species and strains. Yeast can delay MLF due to their inhibition of LAB growth, by depleting nutrients or by producing toxic metabolites, such as ethanol, SO2, medium chain fatty acids and proteins or peptides. In this study, there were notable differences between the yeast treatments that were applied. In most cases, MLF proceeded quickly and without delays. However, in some cases where delays occurred, nutrient supplementation improved the progress of MLF and completely eliminated the delays. In other cases, nutrient supplementation had no effect on slow or delayed MLF. None of the yeasts produced high levels of SO2 that could inhibit LAB, but there were some variation in the levels produced between the species and among strains within the same species. The effect of non-Saccharomyces yeast species on MLF varied and inhibition was found to be strain dependent. All M. pulcherrima and L. thermotolerans strains were compatible with the LAB strain used in this study and conducive to MLF. The non-Saccharomyces species and strains were shown to be either slow, medium or strong fermenters, but all should be used in combination with a commercial S. cerevisiae strain to ensure that the wine ferments to dryness. H. uvarum and M. pulcherrima strains have the potential to improve wine flavour, but the strains that were evaluated need further investigation. The effect of non-Saccharomyces yeast species on MLF varied and inhibition was strain dependent. In most cases, delays in MLF could be alleviated by nutrient supplementation. It is important to select a compatible yeast (S. cerevisiae/non-Saccharomyces) and LAB combination to ensure problem free induction and completion of MLF. The impact that selected non-Saccharomyces yeast strains had on wine flavour will be discussed in a follow-up article. 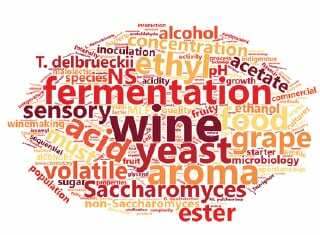 Although Saccharomyces cerevisiae is predominantly used for alcoholic fermentation, non-Saccharomyces yeast species are also important due to production of secondary metabolites that contribute to the final flavour and taste of wines. In this study, 37 non-Saccharomyces yeast strains, representing seven species, were characterised, and their effects on malolactic fermentation (MLF) were evaluated. Contour-clamped homogeneous electric field gel electrophoresis (CHEF) and matrix-assisted laser desorption ionisation using time-of-flight mass spectrometry (MALDI-TOF MS) were useful for the identification and differentiation of Hanseniaspora uvarum, Lachancea thermotolerans and Torulaspora delbrueckii strains. H. uvarum and Metschnikowia pulcherrima strains produced enzymes that are associated with enhancement of wine aroma. Schizosaccharomyces pombe and the Candida zemplinina (synonym: Starmerella bacillaris) strains showed mentionable malic acid degradation. In synthetic wine fermentations, Candida stellata, C. zemplinina, H. uvarum, M. pulcherrima and Sc. pombe strains were slow to medium fermenters, while L. thermotolerans and T. delbrueckii strains were medium to strong fermenters. The effect of yeasts on MLF varied, but inhibition was shown to be strain dependent. The authors thank the ARC, Winetech and the NRF/THRIP (grant numbers UID 71526 and 86086) for funding, and technicians, students and interns for their assistance. The opinions, findings and conclusions expressed in this publication are those of the authors. The NRF accepts no liability in this regard. Fleet, G.H., Prakitchaiwattana, C., Beh, A.L. & Heard, G., 2002. The yeast ecology of wine grapes. In: Biodiversity and biotechnology of wine yeast. Ciani, M. (ed.). Research Signpost, Kerala, India, pp. 1 – 17. Jolly, N.P., Varela, C. & Pretorius, I.S., 2014. Not your ordinary yeast: Non-Saccharomyces yeasts in wine production uncovered. FEMS Yeast Research 14, 215 – 237. Du Plessis, H.W., Du Toit, M., Hoff, J.W., Hart, R.S., Ndimba, B.K. & Jolly, N.P., 2017. Characterisation of non-Saccharomyces yeasts using different methodologies and evaluation of their compatibility with malolactic fermentation. South African Journal of Enology and Viticulture 38, 46 – 63. Costello, P.J., Henschke, P.A. & Markides, A.J., 2003. Standardised methodology for testing malolactic bacteria and yeast compatibility. Australian Journal of Grape and Wine Research 9, 127 – 137.